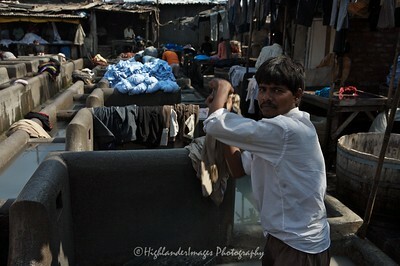 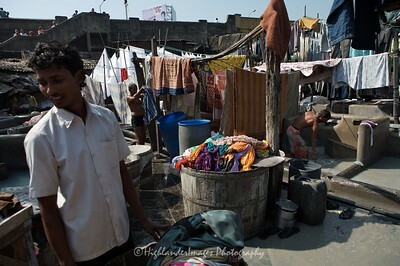 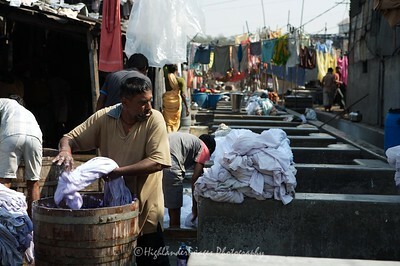 A unique feature of Mumbai, the dhobi is a traditional laundryman, who will collect your dirty linen, wash it, and return it neatly pressed to your doorstep. 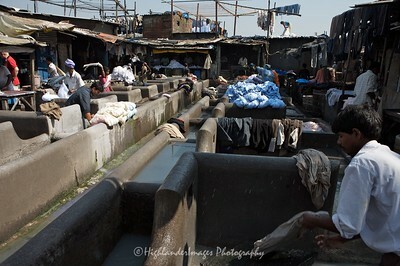 All for a pittance. 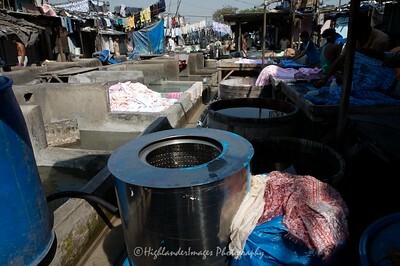 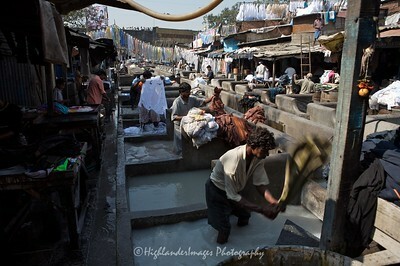 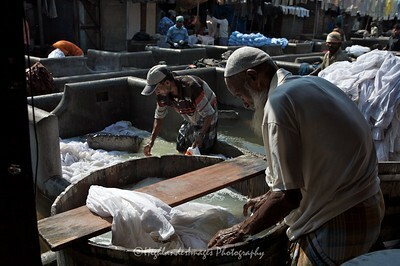 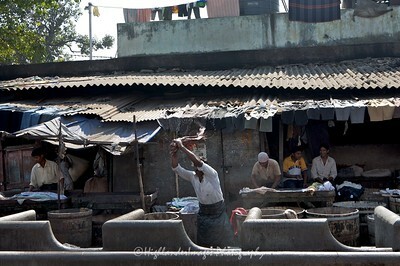 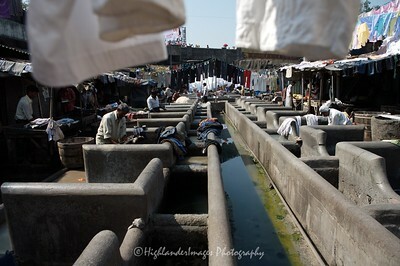 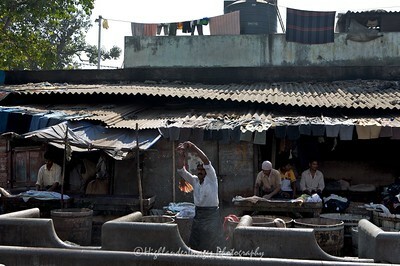 The "laundries" are called "ghats": row upon row of concrete wash pens, each fitted with its own flogging stone. 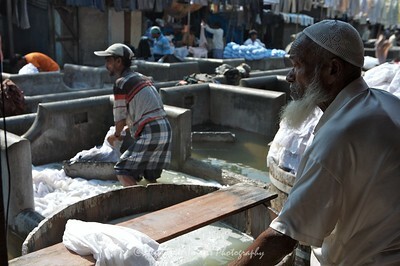 The clothes are soaked in sudsy water, thrashed on the flogging stones, then tossed into huge vats of boiling starch and hung out to dry. 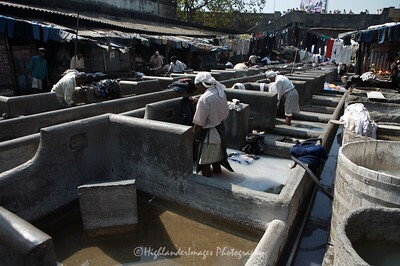 Next they are ironed and piled into neat bundles. 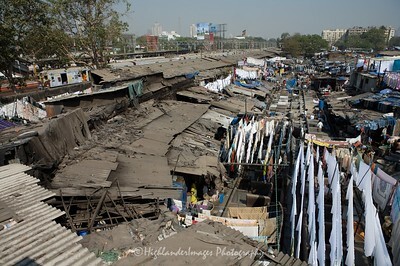 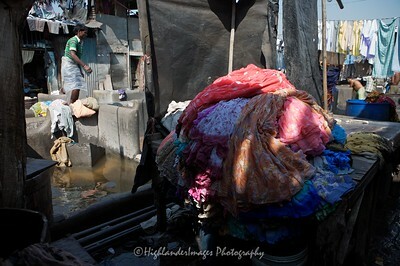 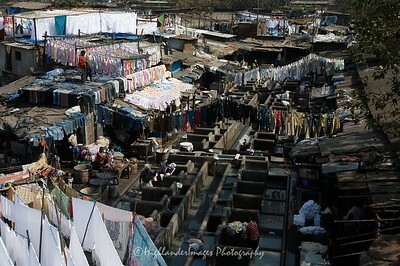 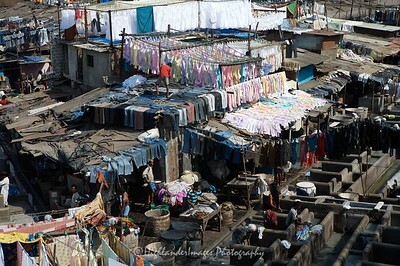 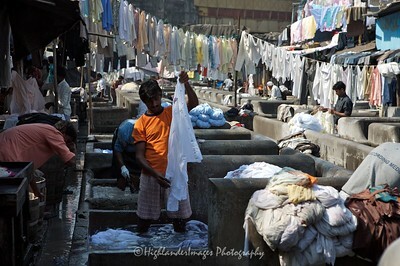 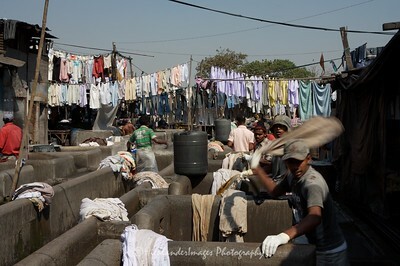 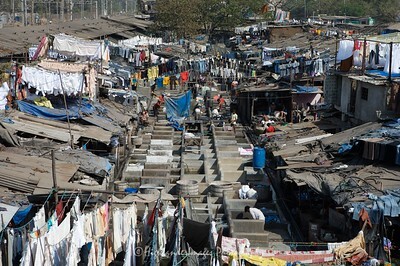 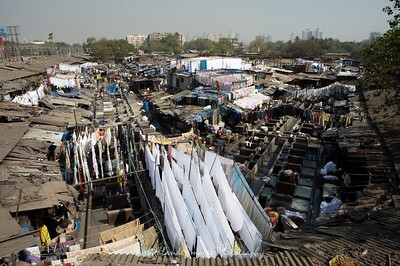 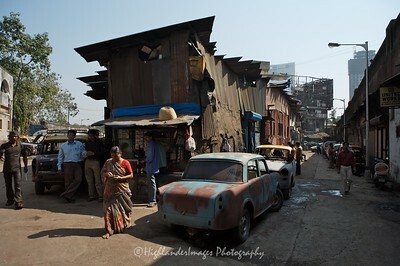 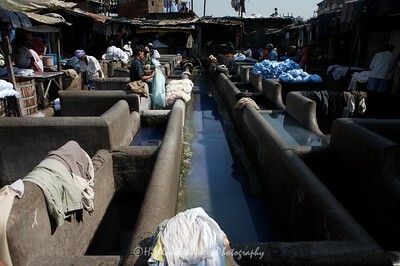 The most famous of these Dhobi Ghats is at Saat Rasta near Mahalaxmi Station where almost two hundred dhobis and their families work together in what has always been a hereditary occupation.